Your loved one’s touch captured forever. Trust Dimples High Definition technology to create a treasure you’ll cherish for a lifetime. 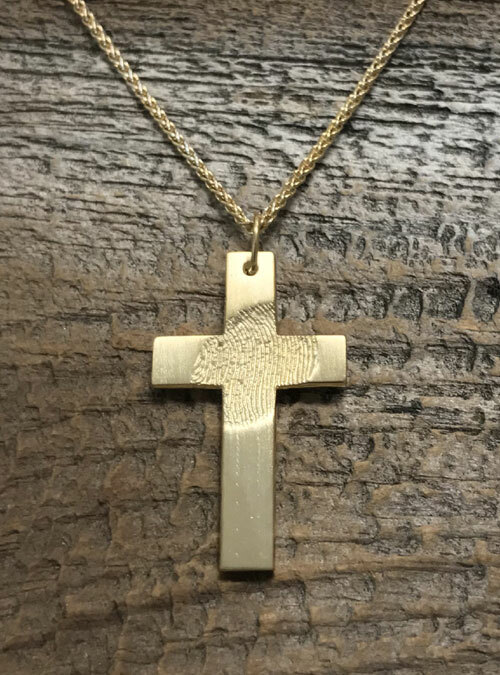 Your loved one’s fingerprint in high definition on a cross pendant in sterling silver charm, approximately 30 mm in length and 18 mm in width, with a sterling silver chain. Charm is approximately 30 mm in length and 18 mm in width.